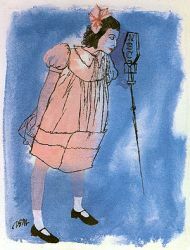 when she first went on the air. Post Toasties Time (for sponsor General Foods). 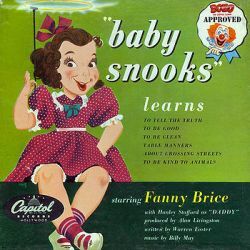 and the series was sometimes called Baby Snooks and Daddy. The first of these entries is an all-star full Christmas show in which Baby Snooks helps co-host. Some are full shows. Others are clips from her own or other shows. Baby Snooks - 401121 - Four Fathers! Baby Snooks - xxxxxx - The Best Of.